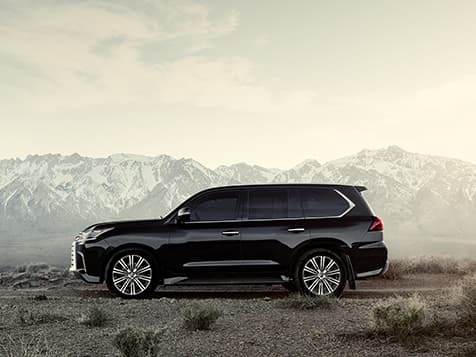 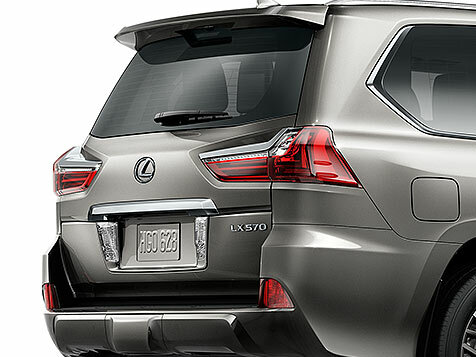 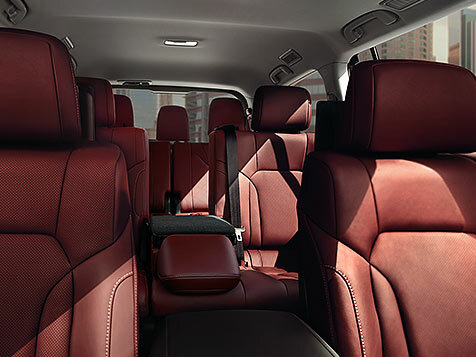 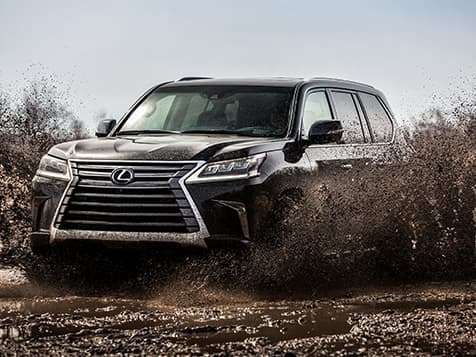 With generous eight-passenger seating and unmatched off-road* capability, the three-row 2019 LX 570 can tackle even the toughest terrain. 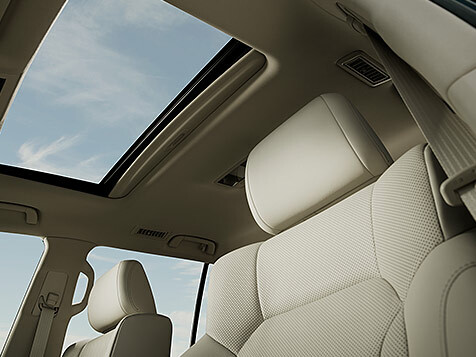 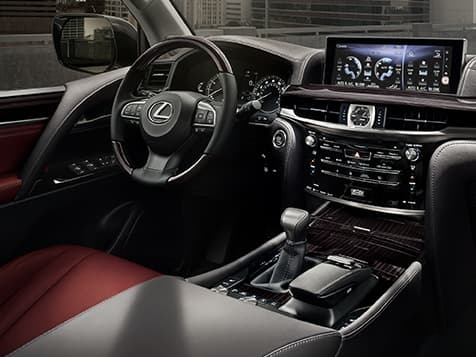 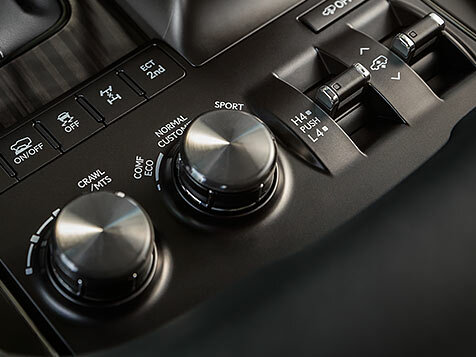 Meanwhile, the available Mark Levinson® 19-speaker system* provides the perfect soundtrack for your daily adventures. 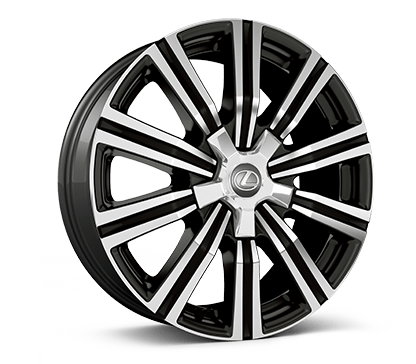 Designed to turn heads, the LX Inspiration Series touts a sleek, “blackout” style from top to bottom. 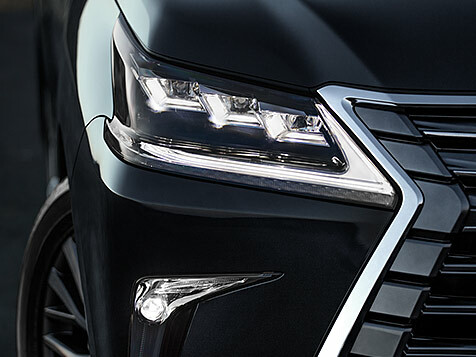 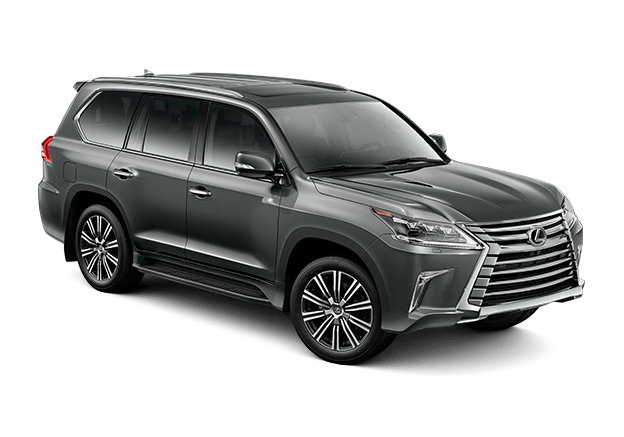 Exclusively available in Black Onyx, it features a black chrome grille, smoked headlamps, 21-inch wheels* with black finish and more. 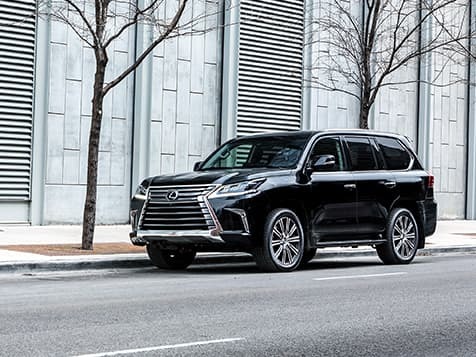 Exterior shot of the 2019 Lexus LX 21-inch wheel. 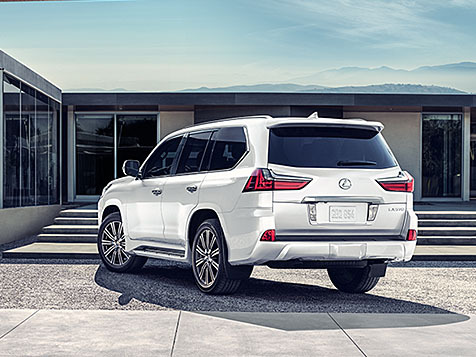 Exterior shot of the 2019 Lexus LX in Nebula Gray Pearl.